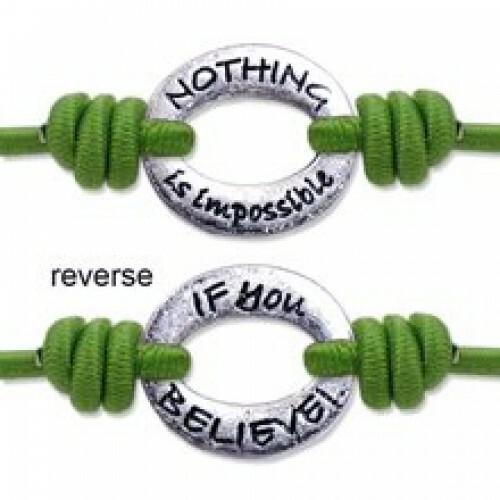 Bandz stretch bracelets are comfortable and stretchy with a two sided matte silver plaque with inspirational sayings on each side. One size fits all. They come in an organza bag.